Yes, yes, yes, we're fully aware that the iPhone 6S and iPhone 6S Plus have only just gone on sale, but the rumour mill has started to churn, and the first mutterings of a possible iPhone 7 release date have already reached our ears – don't shoot the messenger, alright. 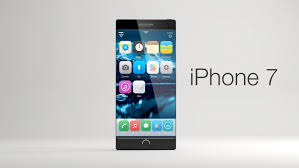 Given the fickle nature of the tech industry and our insatiable need for something faster, thinner and with a new design – something the iPhone 6S lacked – the iPhone 7 is already being tipped as one of the most eagerly awaited additions to the 2016 smartphone roster. 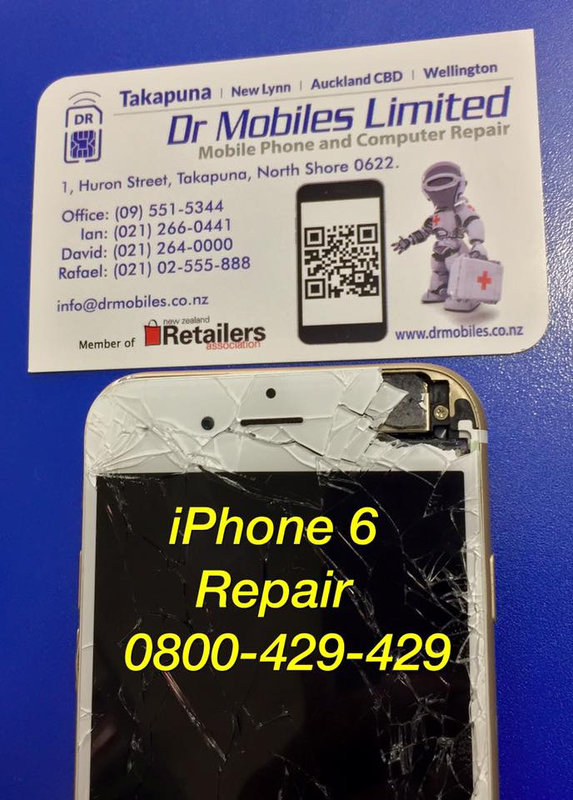 It's got a tough act to follow though, with early iPhone 6S sales breaking records. So, what exactly can we expect from the iPhone 7? 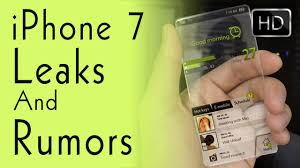 Well, read on to find out and bookmark this page as we'll continue to update it with all the latest iPhone 7 rumours, leaks and announcements moving forward. iPhone 7 release date: When can we expect it? If you're putting off that overdue upgrade until the iPhone 7 drops, we've some bad news for you; you've got one hell of a wait ahead. Probably at least a full year. That's right, 12 long months, not too far off 400 sleeps of waiting as rival handsets – such as the Samsung Galaxy S7 – come and go, tempting you along the way. Although Apple is currently holding its iPhone 7 release date cards close to its chest – and will continue to do so right up until the brink of unveiling – the company's past smartphone launches can give us a sign of what's to come moving forward. Over the past five years – ever since the iPhone 4S, Apple has unveiled its latest smartphone wares in early September, bringing the devices to retailers' shelves just a few weeks later. As such, there's no reason not to expect the iPhone 7 to formally enter the realms of reality in September 2016. This might be pure conjecture right now, but one thing we know for certain is that you're not going to have this device filling your pocket anytime soon, sorry, folks. The iPhone 7's design will inevitably be the phone's big talking point, after all, tradition tells us it's time for something new, and who isn't excited about that? The iPhone 6/iPhone 6S design is now in its second year, the traditional cut-off point for past Apple efforts. With the next full step in numerical announcements should come an all-new look and feel. Just like the rounded iPhone 6 followed the boxy 5S, and the 4-inch 5 lined up after the smaller 4S, the iPhone 7 will mark a new design direction for the company that has time and again set the standard in smartphone aesthetics. Sadly, what form this new look and feel will take is currently a mystery. Well, mostly. Apple is known to be working on curved and flexible phone designs – leaked patents have told us so – but it is unclear if such a radical new form factor will be bestowed on next year's phone or held off for future iterations. 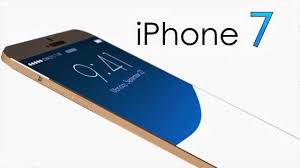 One thing we do know about the iPhone 7 design, however, is that it will be slimmer than its predecessor. Leaked Apple patents have suggested the phone could be considerably slimmer than this year's model, with the iPhone 6S having jumped from the 6's 6.9mm to a slightly plumped 7.1mm form factor. As such, expect the next-gen model to dip back beneath that 7mm marker. Helping this iPhone-themed Atkins diet is a change in the handset's components, most notably the phone's headphone jack. Now, this might not sound like the most exciting move in smartphone enhancement, but bear with us here, it's going to be a much bigger deal that you'd expect. Despite the headphone market universally supporting a standard 3.5mm audio jack – you know the one – Apple patents have shown the iPhone 7 could forge its own new path in audio connections. The slimmer orifice dubbed a 'D jack' because of its squared-off, semi-circular shape, is just 2.0mm across. Now, while the introduction of a D jack would help ensure a slimmer iPhone, it would come at a pretty severe cost – none of our current headphones would be compatible without an adaptor. So, not only would you be buying a new iPhone, you'd be investing in an entirely new tech roster. This isn't where the early iPhone 7 specs leaks have stopped, either. The phone's new power supply has already made a premature appearance. As if the Apple's current A9 chip didn't offer enough power, early leaks have claimed the upcoming iPhone 7 will see the iPad maker move to a new, more powerful six-core processor. As well as introducing added grunt, the new chip – presumably set to be dubbed the A10, because that's how numbers work – the added cores should see Apple better manage this power, further helping extend the phone's already impressive battery life. Another potential change teased by Apple's busy patent filers, is the addition of a virtual keyboard. 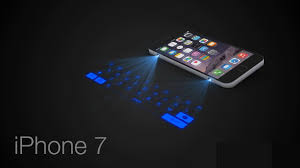 An unlikely addition for next year's model - this is probably one for a lot further down the roadmap, Apple is known to be working on a way of digitally projecting a keyboard onto flat surfaces, letting users type freely without a physical add-on - sounds handy, right? Like with the phone's design, it's time for Apple to up its screen efforts. Although the iPhone 6S offers one of the brightest, most vibrant and colour accurate displays on the market, its resolution is lacking by current standards. The device's 4.7-inch screen boasts a 1334 x 750 pixel resolution. When the likes of the LG G4 and the Samsung Galaxy S6 edge+ are now rocking 2560 x 1440 pixel, QHD panels, and the Sony Xperia Z5 Premium has just landed as the world's first phone with a 4K display, the Apple offering is starting to look slightly grainy and dated. While it's unlikely that Apple will jump straight to a QHD display - that sort of numerical specs race baying is not the company's style - early speculation has suggested the iPhone 6S Plus's 1080p, Full HD panel could be scaled down for the smaller of Apple's two flagship phones. A feature tipped to have been bestowed on the 6S before sadly missing the cut, we'd be hugely surprised to see the iPhone 7 not running a Full HD, 3D Touch-friendly panel. Contrasting the phone's design and screen updates, don't expect the iPhone 7 to be on the receiving end of any major camera updates. This isn't a bad thing though; the phone simply doesn't need them. The iPhone 6S took what was already arguably the best smartphone camera on the market and gave it a 12-megapixel spit polishing. As well as the improved megapixel count, the 6S switched to a new lens construction and added a raft of new camera-focused software tweaks - including the largely gimmicky Live Photos feature. Although the iPhone 7's camera has yet to be the focus of many leaks, next time out we'd expect to see the 12-megapixel sensor retained, with a few further software enhancements thrown into the mix. 4K video capture, a new addition on the 6S, is likely to be an increased focus this time next year, too as the next-gen imaging tech becomes more prevalent. Given that the iOS 9 update has only just hit existing iPhones and iPads, Apple's next software release is still a largely unknown entity. It's pretty damn likely to be dubbed iOS 10 (or X) though, because, again, that's just how numerical progression works. While the ins-and-outs of the iPhone 7-bound software are unclear, a couple of early rumours have started to float around. One such report has tipped further Siri progression to be atop the features hit list. According to unnamed insiders, it has been suggested that Siri will soon gain the ability to transcribe your voicemails, converting them into text form. Handy? Sure. Sinister that Siri's listening into your voicemails? You bet. As we're sure you can appreciate, there's no official word on the iPhone 7 price just yet, and there won't be anytime soon. Again though, just like the company's launch patterns, Apple's past pricing structures offer a heavy hint as to what's to come next time around. The iPhone 6S is expensive. A lofty price tag is a staple feature of all Apple handsets, so don't expect the iPhone 7 price to be anything but wallet-stretchingly high. iPhone 6S prices start at £539 for the 16GB model and we can't expect the iPhone 7 to rock up any cheaper. You might want to start saving those pennies now then. That's all we know for now, but stay tuned for all the latest iPhone 7 news and rumours as new details emerge.